SEOUL, Dec. 31 (Yonhap) -- Special prosecutors on Saturday formally arrested South Korea's state-run pension fund chief in their investigation into a widening influence-peddling scandal involving President Park Geun-hye and her friend. Park was impeached earlier this month over a string of corruption allegations involving her confidante Choi Soon-sil. One of them was that she colluded with Choi to strong-arm Samsung and other local conglomerates into donating some tens of millions of dollars to two nonprofit foundations controlled by Choi. Moon Hyung-pyo, chief of the National Pension Service (NPS), is accused of pressuring the state fund to back a major merger deal between Samsung subsidiaries on behalf of the presidential office when he was health minister last year. The 60 year old served as the country's health minister from December 2013 to August 2015. 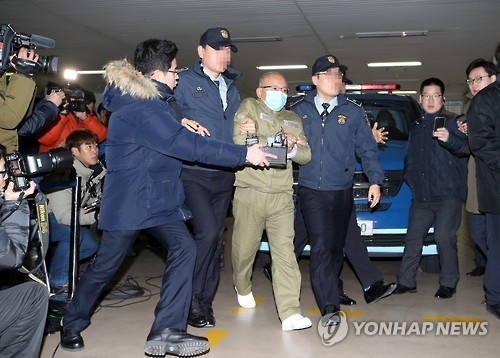 Early Saturday, the Seoul Central District Court issued a writ to prolong his detention, making him the first suspect to be formally arrested by the special investigation team. He was put into emergency detention early Wednesday after appearing before the special investigation team the previous day for questioning. 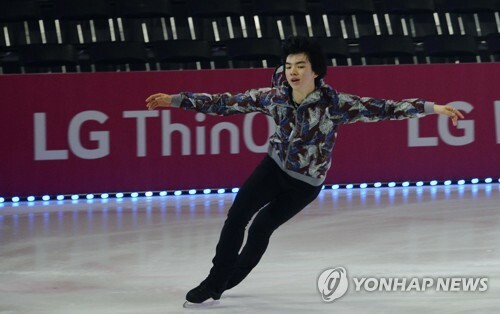 There have been allegations that the presidential office Cheong Wa Dae pressured the state fund -- which held an 11.6 percent stake in Samsung C&T Corp. and a 5 percent stake in Cheil Industries Inc. -- to support the conglomerate in return for favors Samsung gave to Choi. Moon, who had denied exerting influence in the pension fund's decision at a parliamentary hearing, reversed his statement during an interrogation by the independent counsel team, according to the probe team's spokesman Lee Kyu-chul. The investigation team led by independent counsel Park Young-soo has been accelerating its probe since its official launch last week, summoning a number of figures implicated in the scandal. The investigation should be completed within 70 days of the start date and can be extended for another month upon request from the special counsel.